After his final lifetime as Sir Francis Bacon, the ascended master Saint Germain physically appeared throughout the courts of Europe as le Comte de Saint Germain. The Discovery Channel contacted Elizabeth Clare Prophet to give insight into the baffling personality of this immortal Wonderman of Europe. The 1977 Alan Landsburg national television documentary was called In Search of the Man Who Would Not Die: Le Comte de Saint Germain, the Wonderman of Europe. Mrs. Prophet, then in Pasadena, California, gave extended interviews. The film crew came to the Pasadena campus to hear and document Saint Germain giving the dictation which is in the video. In Search of The Man Who Would Not Die accurately portrayed “the count” as a fluid linguist and a master musician, highlighting the incomprehensible alchemical skill which he demonstrated by removing flaws from precious gems and changing base metals into gold. Elizabeth Clare Prophet pointed out, however, that the mission of Le Comte de Saint Germain as a prominent social figure and an intimate of Louis XV, Voltaire, and Rousseau was to secure the attention of the court of France and others of the crowned heads of Europe in an attempt to prevent the French Revolution and the horrors of the reign of Robespierre, and to establish instead a United States of Europe. Indeed, the Ascended Master Saint Germain yet remains with us “just beyond the veil” of time and space. He is the sponsor of America and the very living Spirit of freedom to every soul. Just as Jesus stood as the open door to that attainment of the Christ consciousness in the two-thousand-year Christian/Piscean era, so Saint Germain comes today hand in hand with the Prince of Peace as the Ascended Master of the Aquarian age. 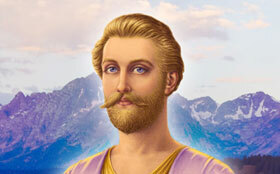 The Ascended Master Saint Germain ordained Mark and Elizabeth Prophet as messengers of the Great White Brotherhood in order that the true teaching of Jesus Christ might be brought to our remembrance, as he promised, by the Holy Spirit who comes in the person of the ascended masters speaking the Word of the Lord through the messenger. 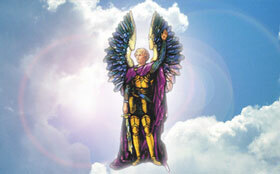 Saint Germain comes forth in this “time of trouble” (Dan. 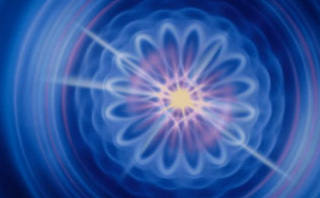 12:1) which marks the moment of the turning of cycles from Pisces to Aquarius. His is the consciousness of freedom, the fiery baptism of the Holy Spirit christening a new race, a new lifewave, a new age of self-discovery, and the “new world” America. As Jesus is the Wayshower of the individual Christ potential, so America was conceived in liberty as the land of abundant resources and opportunity wherein the blueprint of the divine destiny of each and every nation would be fulfilled. America was founded by the Great Brotherhood on the matrix of the original thirteen of Jesus Christ and his apostles. It is a country where freedom of religion, freedom of speech, freedom of the press, and freedom to assemble are meant to provide the foundation for the attainment of the collective Christ consciousness. 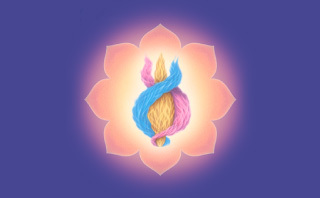 It is destined to be a community of the Holy Spirit, a forum where the greatest souls of all ages will be “born again” with the incoming avatars of Aquarius to produce a living archetype of freedom. By the unseen hand and the very specific guidance of the ascended masters, America—the heart, the mind, the soul of a world—was born. Behold he stands before the Lord and before the sons and daughters of Liberty with such love, such hope—and a new strategy for freedom. It is the science of the spoken Word. It is the authority of the Word made flesh in all who cry, “We faint not, nor are we weary.” (Isa. 40:28) It is the spark of the Spirit which arises because men and women have offered themselves in a cosmic service—in a devotion without reserve. “You are mortal. I am Immortal,” says Saint Germain. “The only difference between us is that I have chosen to be free and you have yet to make the choice. We have the same potential, the same resources, the same connection to the One. I have taken mine to forge a God-identity. 1. Published as Pearl of Wisdom®, Vol. 20 No. 31, 31 July 1977, entitled Message to America and the People of Earth. 3. Pearl of Wisdom, 24 August 1975, p. 176.